Receiving quality care from experienced, specially-trained physicians is as easy as one, two, three. Consultations with our board-certified physicians are available 24 hours a day, seven days a week, 365 days a year. Video consultations are also available by appointment and helpful information can be communicated via email. 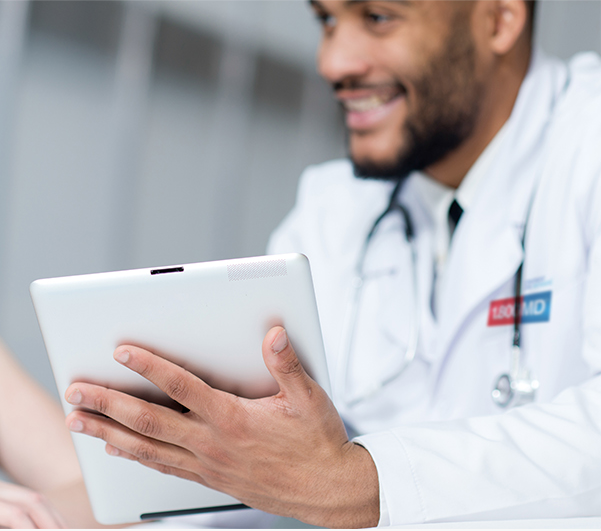 1.800MD offers unlimited consultation times with a 15-minute average physician call back time. Prescriptions can be written, if warranted, and instructions to put you on the road to recovery are clearly outlined. Once your consultation is complete, you are done without even leaving the comforts of your home. Beyond consultations, 1.800MD members have access to a secure portal, wellness tools, a symptom checker, electronic health records (EHR) and other helpful tools.